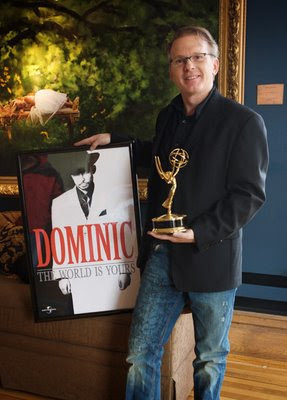 KELO-TV recently won a Regional Emmy Award for coverage of "Dominic's Wish," a story that has touched countless lives. KELO photojounalist Kevin Kjergaard stopped by the studio to show us the award and Rod was able to hold an actual Emmy. Congratulations to KELO photojournalist Kevin Kjergaard and former KELO reporter Lou Raguse on receiving this prestigious award. Dominic's story has inspired so many people and he is forever etched in our hearts. An emmy!!! Now how can we get your name linked with an oscar? Great story! I now more than ever hope to meet you soon so I can personally tell you " Thank You" for sharing. Great way to start the day!